I wasn’t sure I needed an album like Lost in the Dream until I heard it. Even then, it took a few listens before I could articulate why it scans the way it does: Wistful but not resigned, invigorated but not wide-awake. As its title suggests, Lost in the Dream often trades in gaseous, impressionistic hues, and a cavalry of affected guitar, synth, lap steel, sax, harmonica and piano tracks gel into luminescent aural sunsets at several points throughout the album. These ambient drifts bookend Adam Granduciel’s tender songs, the lyrics of which also tend to reveal themselves in refracted ways. Indeed, it can be difficult to discern more than a handful of lines in succession—Granduciel’s feathery, mostly reserved delivery sees to this, as well as the tonnage of reverb baked into the mix—but listeners can’t miss the sense of melancholy and anxiety woven into nearly every second of Lost’s hour-plus run-time. “Am I alone here, living in darkness?” he asks on “Eyes to the Wind,” his questioning telling all in a handful of words. This sense of need derives from a predicament in which I find myself in 2014, when it’s easier to discover, say, an adventurous R&B artist than a new band of trad-rockers with anything interesting to say, musically or otherwise. Rock isn’t dead, of course. But, at least as far as “indie” is concerned, the landscape has shifted so far in the last two decades that it almost seems like an act of rebellion to hit the stage with only two six-strings, a bass and a drum kit. I suspect that’s due as much to technological innovation as to the discomforting fact that rockers may be running out of ways to be interesting, which might partly explain why indie bands in particular seem so infatuated with the past at this juncture. 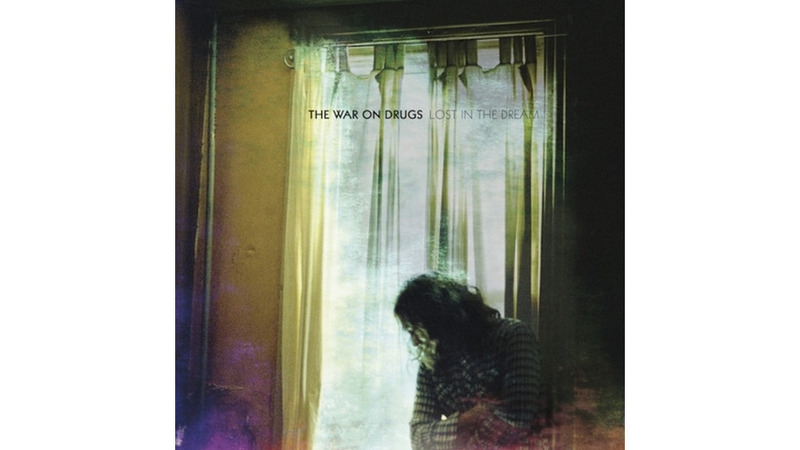 But The War on Drugs give me hope that the genre isn’t completely picked over, that perhaps the answer doesn’t so much lie in re-treading the past as it does in looking outside rock music entirely for inspiration. Don’t get me wrong: Only a creature from another planet would miss the iconic rock/pop touchstones which inform much of Lost in the Dream. Nods to heartland troubadours Neil Young, Tom Petty and Bruce Springsteen abound, as do faithful takes on Britpop and Americana. But it’s to Granduciel’s credit that the touchstones are minor points in a much vaster narrative that also seems to include left-field inspirations like drone music. (Whether this was intentional or not is beside the point.) And there’s no mistaking that the 34-year-old’s own hard-won vision carries more weight in his work than any aging rocker or laptop wiz-kid’s influence could ever hope to. Lost in the Dream pushes rock music forward—it isn’t the mirror of supposed better times that lesser bands make because they can’t or don’t want to locate their own voice. The first song most of us heard from Lost was “Red Eyes,” a galloping, wide-eyed romper that somehow manages to float even as it surges forward. This is a tactic Granduciel uses often and effectively, letting the drums and acoustic guitars provide a consistent spine so that he can push and pull the watery, tremolo’d leads, sax, synth and other ambient flourishes with a nuanced grace. It’s all very beautiful, enamoring stuff until the songwriter dispenses with the niceties and throttles everything in the mix to near-peaking levels, as he does toward the end of both “Red Eyes” and its companion “Burning,” which Granduciel himself recently (and rightfully) compared to Rod Stewart’s 1981 hit “Young Turks.” “An Ocean in Between the Waves” is Lost’s other stampede, building incessantly for seven minutes to an abrupt and powerful stop.